After many years teaching in a classroom and then another set of many years homeschooling my children, I have come to the conclusion that, even with the best of curriculum, there are going to be areas where my children need additional work. 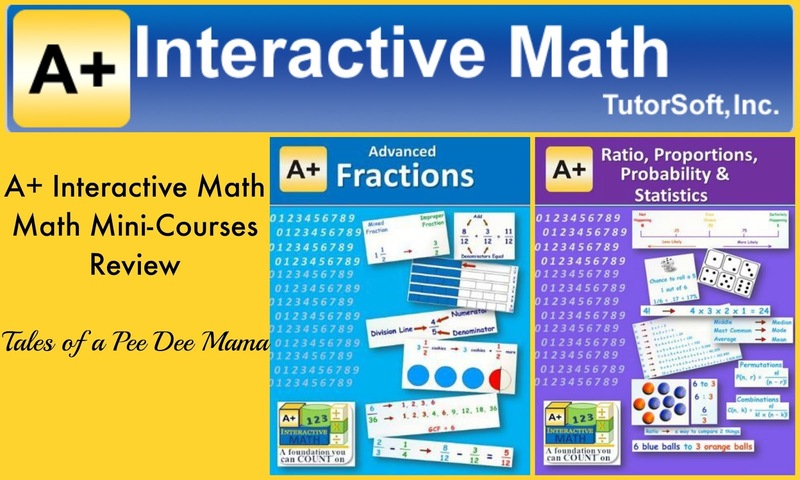 In order to try to cover some of those math learning gaps, we have been reviewing Math Mini-Courses from A+ Interactive Math. Have her go back in her book and re-do some of those lessons. Search for review problems in those areas. Create my own problems for her to practice. Mini-courses cost between $9.99 and $19.99 for one-year access. One of the things I like the most about these mini-courses is that they are self-pacing. Little Red can go through the lessons as quickly or slowly as she needs to. Each mini-course provides video lessons with interactive review, PDF versions of lessons, and PDF printable worksheets and tests, as well as access to summary reports for worksheets, tests, interactive Q&A, and lesson completion for both students and parents. Parents also have a parental control form where you can control whether or not to hide the answer keys and solution guides, whether or not to hide the online calculator, and whether or not to allow extra time for the exams as well as how much extra time to allow if you choose. The video lessons are multimedia presentations so that students can both read the information as well as hear it being read to them. I like this since it allows for students who may have difficulty reading to still be able to understand the lesson. The lessons go step by step through the problems, thoroughly explaining each step and showing it being worked out. After watching the video lesson, students can complete the interactive review questions, where they solve math problems covering the concepts in the lesson. Our homeschool group has had standardized testing this week. Today was the day for the math sections of the test. I felt much more confident about Little Red's ability to know how to answer the questions since she has been working on these mini-courses. After she finished testing today, she even said that she felt like they had really helped her. Little Red spent most of the past few weeks working on the fraction lessons and felt like the fraction video lessons helped her to learn fractions easier. The lessons explained things slowly so that she had time to really understand them. According to her, the interactive reviews were easy. That concerned me that maybe they weren't challenging, but she said that it was easy simply because they came right after the lessons and that the lessons explained how to do the problems very well. 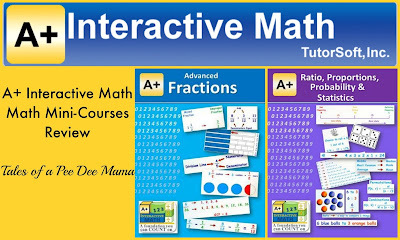 Are you interested in what others have to say about A+ Interactive Math and the Math Mini-Courses? Check out more reviews from the Homeschool Review Crew.